The social media giant Instagram currently has over 700 million monthly users, and 40 million photos publishes every single day. Therefore, no matter what kind of business you have, there is no doubt that Instagram can potentially take it to a new level, if you use it the right way. Hence, I have gathered my 8 best tips & tricks on how to grow and expand your business on Instagram the best way possible. – Showing yourself on Instagram is crucial when it comes to growth. If no one knows you exist, how can u possibly get followers and likes? By being active on Instagram I mean: to like pictures, comment on pictures, follow others, post pictures, post Instagram stories etc. Show yourself! 2. Make your own unique hashtag. – Making your own unique hashtag can really help making relations to your brand. Make sure your followers use it when they post pictures of your brand, their followers will then also be aware of it, and so it goes on. Also, feel free to use other hashtags on your photos to reach out to a bigger crowd, but make sure that they are relevant to your photos and theme. – Contacting social media influencers can help expanding your business to another level and reach out to a wider audience. The way to do this is if you for example sell beauty products, you will want to find a beauty person with at least 5k followers. Simply send them a message asking for promotions on their page, in trade for either free or discounted products. You can either look for few of the bigger Instagram accounts (who usually wants to be paid), or more accounts with fewer followers (usually willing to do it free). These promotions will cause a large amount of traffic to your profile and will lead to activities as followers, likes and purchases. 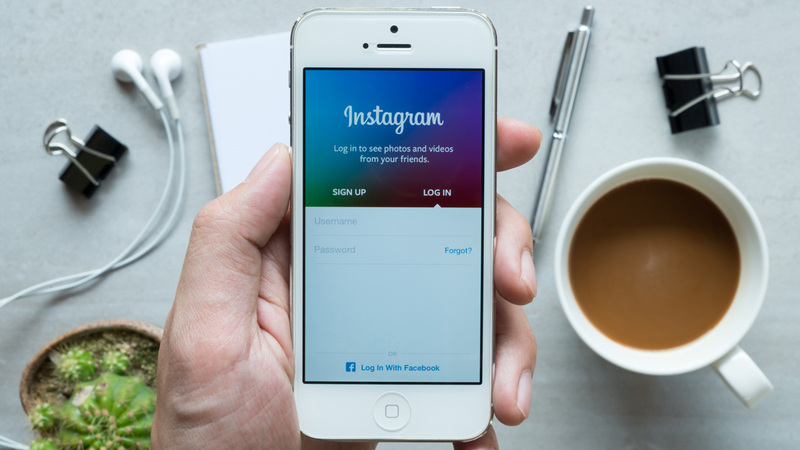 – Instagram has made it possible to pay to get your ads posted in the middle of the feed. It will then be visible for anyone on Instagram, and not only your followers. This is a great way to show your brand and catch other target groups. However, this is a service you will have to pay for. – What are they posting, whom are they following, what kind of price range are they selling at, and who is their target group? Make sure that whatever they do, you do it better! Find out what you are better at than they are. – This one goes a little bit along with number 4. However, having a great and unique theme does not mean anything if you take blurry, low-quality pictures. Make sure you get yourself a professional camera, or hire someone with professional photo skills. Editing is also something to consider, but do not overdo it! Fixing the contrasts, lights and colors is more than enough. You will want to make them look as good as possible, but don’t try to fool anyone. – Considering the timing of your posts can be crucial when it comes to reaching out to as many users as possible. Find out when they’re the most active during the day. Is it at 7 am in the morning before work? 4 pm after work? Or during the nighttime? One way to do this is trying and failing. Analyzing which posts got the mot activity in form of likes, comments etc. ← Kunstig intelligens: Bør vi frykte det?